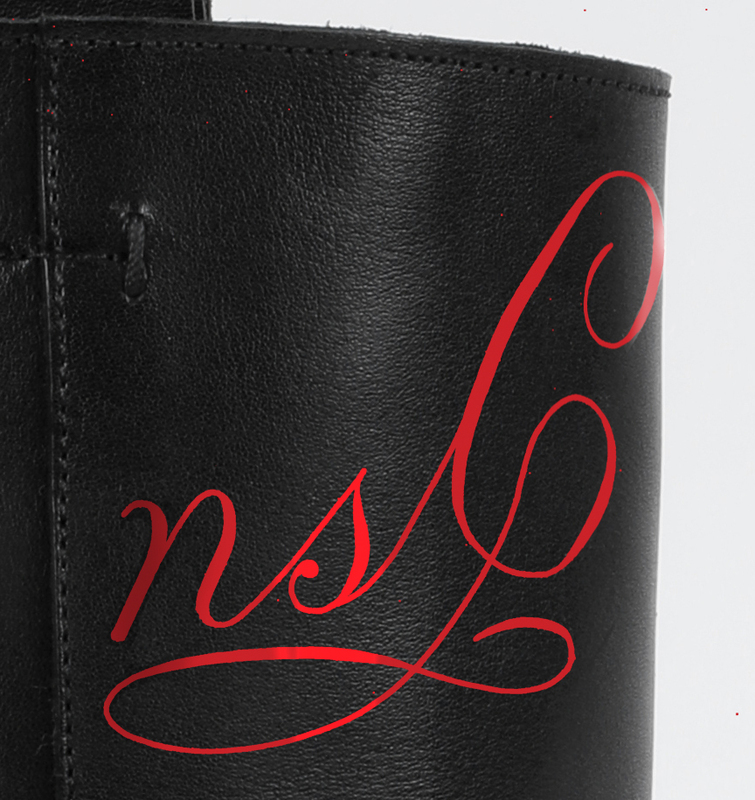 Close-up of Nancy Sharon Collins’s Custom monogram hand painted on Italian made ALUMNAE boot. Sketching a custom monogram from pencil exercise of initials configuration to finished pencil sketch. This is a little animation showing how Mrs. Collins creates a monogram or cipher from scratch. Each design is sketched, by hand, with a pencil on tracing paper. She always starts with random exercises combining the client’s initials. Once established, the initials are created into a unique design in the form of a pencil drawing on layers of tracing paper. Usually, the design is engraved by Collins’s studio and then printed onto custom engraved stationery. Alternatively, finished designs may be commissioned on their own for clients to use on their own.